Ottawa, September 2012. Since the creation of the Arctic Council in 1996 all eight member states have served as chair, starting with Canada from 1997 to 1999. Now Canada will assume the chair again from 2013 to 2013. 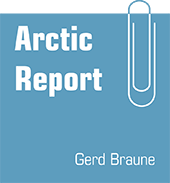 “As melting sea-ice opens the region to shipping and resource extraction, the Arctic Council has become essential; if it did not exist, it would have to be created”, writes Michael Byers in his report "Circumpolar Challenges" for the Rideau Institute in Ottawa. The Munk-Gordon Arctic Security Program put forward suggestions for Canada´s chairmanship.